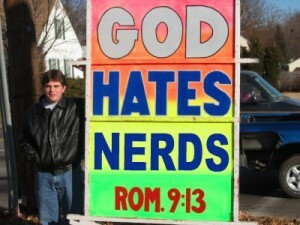 The guy dressed as Bender waving the “Kill All Humans” sign was my favorite, with the “God Hates Kittens” a close second. Very pathetic to use the Bible to justify their feelings of inferiority. Apparently, God also hates it when people draw their own conclusions.